Thousands of consultants rely on Avaza to accelerate team collaboration, capture time & expenses and send invoices. Everything your consultancy needs, in one place. 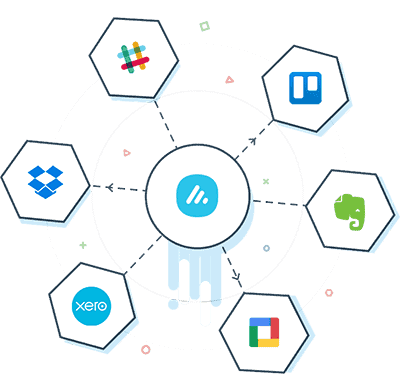 Manage clients, projects, tasks, time, expenses and invoicing in one software instead of jumping from tool to tool. Why Do Business Consultants Love Avaza? 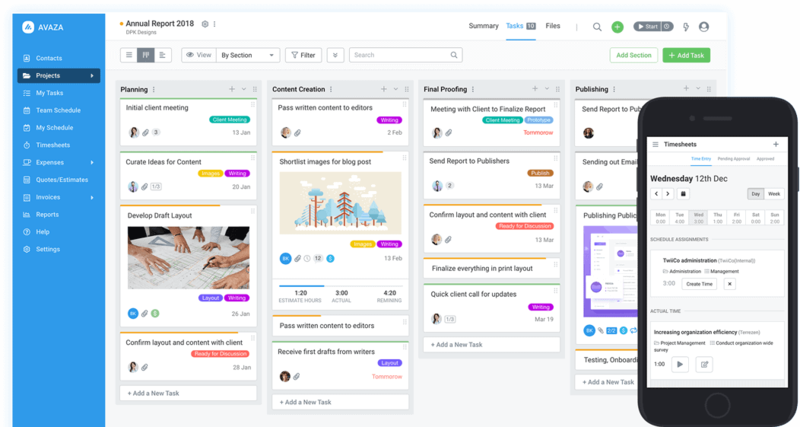 A visually beautiful task management dashboard allows you to toggle between kanban, Gantt charts, and list view based on your needs. 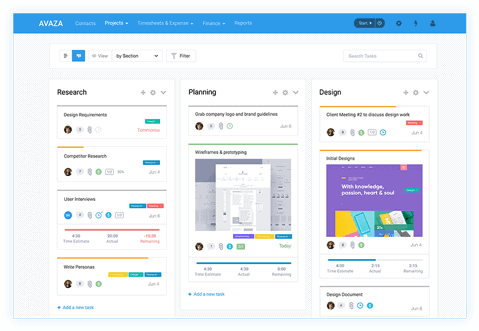 Group tasks by section, deadline, person or task status so you are always in the know. Use colorful tags for faster identification. Drag and drop files into projects or tasks for easy uploading. Easily scan through project assets with beautiful file previews. Never forget to action an email. Simply forward emails to Avaza to create tasks. Our one-click time tracking software will track every minute of your time, plus we offer mobile apps for Android and iOS. 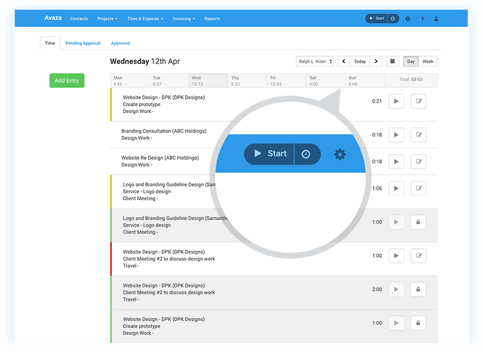 Add time via day or week-view, or copy over the most recent timesheet entries for recurring work. Set billable rates and invoice your clients with confidence. Add timesheet duration as is or apply rounding based on your requirements. Organize your consultancy expenses online. Track expenses by project and client. 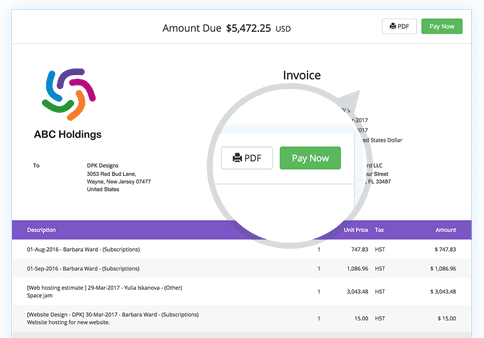 Never underbill your client again by adding unbilled expenses to an invoice. 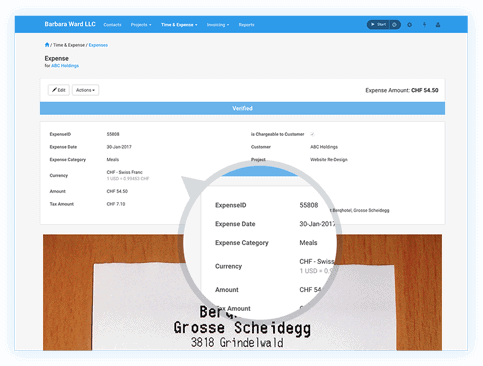 Setup expense approval for team members for tighter control over spending. 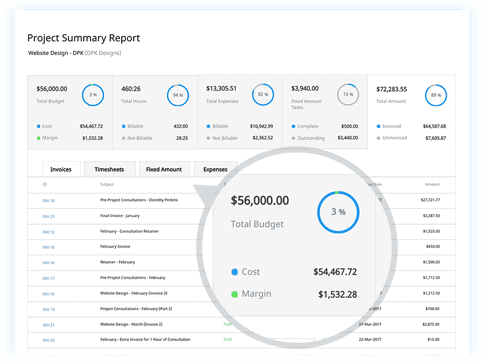 Run reports to understand what you’re spending most on. Impress clients with professional estimates and a streamlined approval process. Convert estimates to invoices with a few clicks, and get paid faster via online payments with Paypal or a credit card. Add unbilled time and expenses to invoices easily, and use the recurring invoice feature to send out retainer invoices at a frequency of your choice. Stay on top of your business with useful reports. Understand staff utilization, project margin and customer profitability. Track time spent by the team on billed versus unbilled tasks. Import data to your payroll system using our friendly and clean exports. Everything you need to be a better business consultant. In one place. 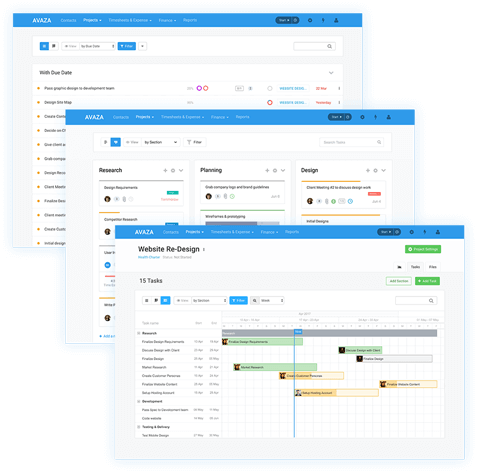 Cloud-based project management software for consulting firms, available anywhere from any device. Other consultants are running a better business with Avaza. You can too.